4220 Features: -Steel frame. -Powder coated finish. 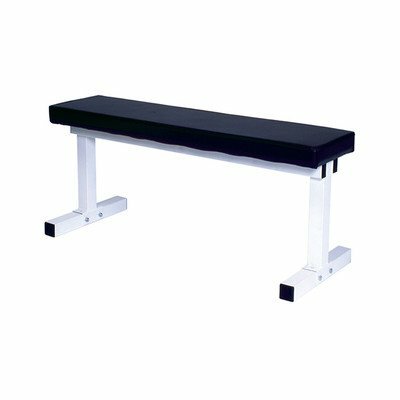 Product Type: -Utility bench. Frame Color: -White. Upholstery Color: -Black. Frame Material: -Steel. Upholstery Material: -Vinyl. User Weight Capacity: -250 Pounds. Generic Specifications: -250 lb weight capacity. Dimensions: Overall Height - Top to Bottom: -16". Overall Width - Side to Side: -6". Overall Length - Front to Back: -43". Overall Product Weight: -30 lbs.